Online Mixing - Hassle free song, single or album mixing. find a deal to suit your budget. Whether you have tracked your music at a local recording studio or in your bedroom, that inevitable time comes to put it all together into a cohesive and believable mix. Now, it's certainly true that almost anyone can mix a song either at home or at the expense of hiring studio time and engineer but for a lot of people you either, a) don't possess the experience and technical nowhow or, b) the expense of hiring studio time and mixing engineer are prohibitive. 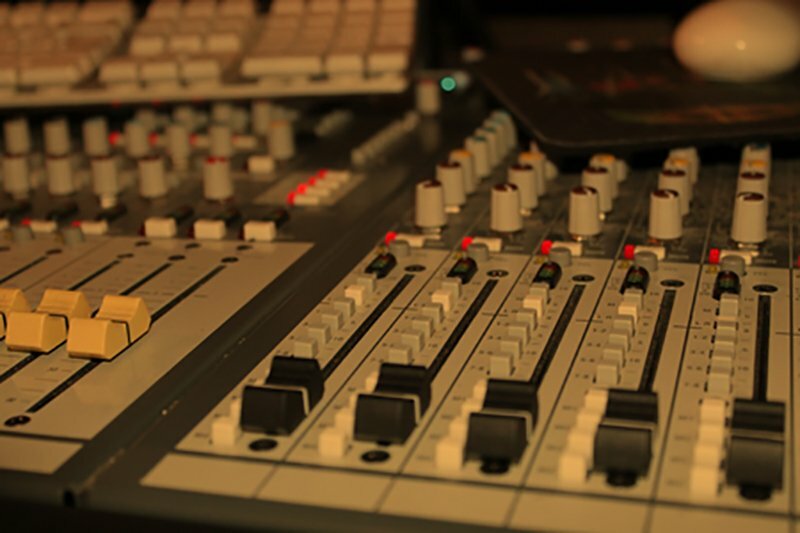 Online Mixing takes the stress of that away from you by providing a simple platform to upload your tracks, have them mixed by a professional mixing engineer using top grade audio equipment and then return to you ready for mastering. Simply follow the process outlined below and read our FAQ section to fully understand what is required of you and your audio stems and then, when ready, send your files via the provided upload link. Online Mixing couldn't be simpler! Sit back and relax, we'll send your completed mix to you and discuss revisions. 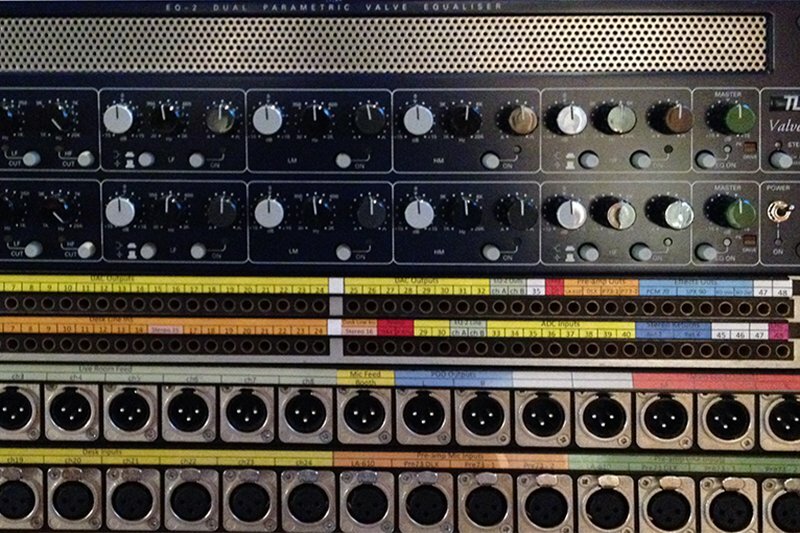 Before you go ahead and contact us regarding your mix project please take the time to take a look through the questions and answers in this section. If there is a question not on this list that you would like an answer for then please contact us via the form below, we will be happy to help. Online mixing is a paid service to mix your already recorded music tracks by uploading each track (or stem) to us so we can perform the mix for you utilising our equipment and expertise. How much will online song and album mixing cost me? We perform our unsigned mixes with an hourly rate of £25 per hour in mind. Each project is different so once you contact us with details of your mixing project we can assess how much it is likely to cost. When we give you a quotation, that will be cast in stone even if it takes us longer than expected. How long does song or album mixing take to turnaround? It's largely dependant upon how much work we have on at that current time. Once you contact us with details we can assess our current workload and how long your mix will take then let youknow when you can expect your first draft. What information do you need from me when I contact you? For single song mixes we will need to know the genre, how many individual tracks are involved, the length of the program material, the sample rate and bit depth it was recorded in and any mix references that gives the type of direction you are after for your mix. For album mixing , we will need to know this information for each song plus the total number of songs involved. What is bit depth and sample rate? When a recording has been performed digitally via a computer Digital Audio Workstation such as ProTools, Logic or Cubase it is recorded through an interface that turns your analogue waveform into computer readable format by taking "samples" of the audio. There is plenty of information on the internet regarding the technicalities but, in a nutshell, these samples are taken as an "amount of slices per second". This is the sample rate and can be one of a range of values depending on how it was recorded. The bit depth is a value of resolution of the audio, a bit like resolution in photography. This information can be found in your file properties for each file and will be something like 48khz 24bit. For more information on how to find what your sample rate and bit depth is contact us via the form. How, and in what format, should I send the files to you? We will accept your raw individual track files as either .wav or .aif files. Please do not send us MP3 files to mix as these are a lower quality and will not help your mix vision. It is important that you send ALL track files starting from the same point, regardless of where the relevant part starts in the piece. If, for example, you have a guitar solo that comes in midway through your song on it's own track you must ensure the file contains silence from the very start of the song. The reason for this is to ensure that all your tracks align themselves perfectly on our system without us having to manually place them. Manual placement takes time and will be charged accordingly! If you do not understand this please contact us and we will walk you through the process of creating stems from the same start point. Do you do vocal tuning? 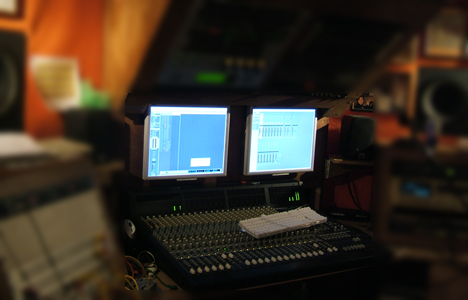 Vocal tuning and other editing should be done during the production stage prior to the mix process. Having said that it's not always possible for artists to do this sort of thing. We have the tools and capabilities to perform any tuning, editing and production tasks and are very happy to do this for you but please understand that it will be priced accordingly based on our £25 per hour rate. When you contact us with details of your project please mention any editing or production requirements and we will provide a quote based on that information. How do we send files to you as they are very big files? If you use the File Upload link on this site you will be taken to or WeTransfer file upload service. You can send up to 20 Gigabyte at a time (but no-one has ever got near that to date!) with no problems. Sometimes when sending many files at once you may get server timeouts. These are unavoidable especially if sending from outside the UK. Simply send fewer files in one go and you should be fine. Do you do mastering as well? If you want your songs or album mastered we can do this for you but please let us know when you contact us. 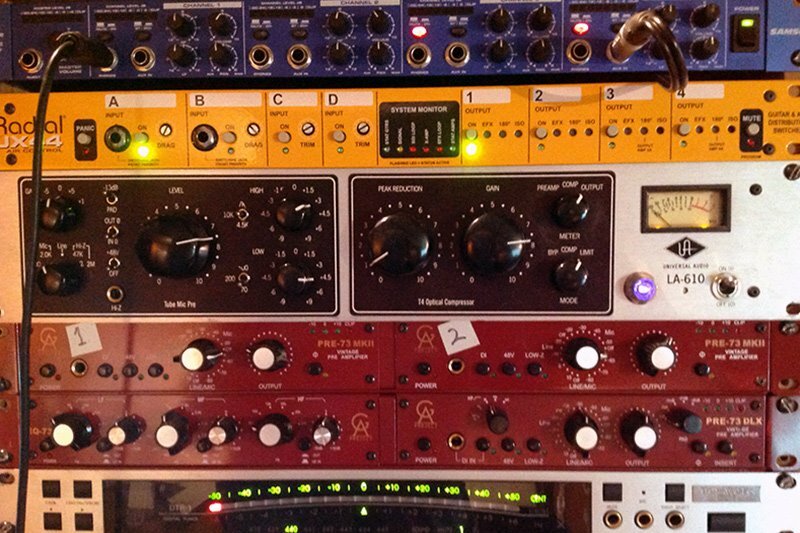 However, for fully professional mastering results i work closely with a mastering engineer called Pete Maher at www.petemaher.com, mastering engineer to the stars. His rates for both signed and unsigned artists are fantastic and we cannot reccomend enough that you should use his mastering service. We perform our mixes to the levels that he accepts for mastering and can either send them to him on your behalf and bill as appropriate, or we can send finished mix files to you to forward to Pete. Do you allow attended mix sessions? Well, it kind of does away with the whole point of online mixing but, yes it's a possibility. Not too many people in attendance tho as too many comments flying about can be detrimental to the time and the total cost! We are in the process of compiling and online playlist for this purpose but, until then, use the contact form to request some examples. What if we are not happy with the mix? Ok, this is a tough one. Mixing is very subjective and individualistic. One engineers process may be completely different to anothers - a bit like two different artists painting the same picture. It will be the same picture but different! All mixes will take the time and efforts of the mix engineer which must be paid for regardless. We will bend over backwards to help you achieve what you require. If for some reason you are really not happy with the result then we can talk but we will always ask for payment up front. We are very happy to make mix revisions for you until you are happy with what you hear (within reason of course). We have to make it known, at this point, that a mix is regarded as intellectual property of the mix engineer. If you are that unhappy with the mix that we come to a resolution between us then all permissions to use the mix in question will be withdrawn. This ensures protection for both parties. What if we have a very clear Idea of how we want our mix to sound? This is a good thing! It gives us direction! Please make sure you convey any and all ideas you have beforehand. Preferably as a rough mix (whatever the quality) or as a link to a well known song. Be as specific as possible. In the unlikely event there are any problems in performing to your aspirations you will be informed early on. Will you put your own stamp on the mix or just do what we ask? We can work either way. When we recieve a mix it will be assumed that all the production has been done already unless told otherwise. We will therefore just balance and buss the tracks to achieve a great mix of what has been physically recorded. If you tell us to go ahead and have fun then we can perform all kinds of tricks and techniques for you .. it may take slightly longer tho. Do you purely mix "in the box"? That depends on the project. If we are required to just perform a flat mix (no production) on a budget then it will just be an "in the box" mix. If time, budget and creativity allows then we can use some great outboard, do some re-amping and even sum the daw busses through our mixer. Just let us know what you want. What is re-amping and do you do it? Once we quote you for the mix job that amount is cast in stone even, as is frequently the case, we go overtime. We request that the fee is paid in full before commencement. Paypal or BACS is preferred but We can take credit card and are currently working on a central payment system. How many mix revisions do we get? If you happy with the direction of the first draft then we are happy to tweak your mixes until happy (within reason of course). If the first draft is wide off the mark for you then there is little sense in minor tweaks but we can talk about a rework at a much reduced rate including mix tweaks if desired. Can we send you protools sessions to mix? We prefer to recieve all our mix projects as audio stems as our system is geared around this method. Please export all your audio as stems in either .aif or .wav format. Do you want our stems exported with or without channel effects? Good question! Obviously the channel effects are contributing in some way to your vision and maybe your rough mix. What we would ask is that you send us your stem with the effects you have as well as a raw un-effected version for us to play with. Sometimes when people export tracks from a DAW they all export as stereo files due to passing through the mix channels with effects switched out. It would be great if you could send the un-effected in it's original mono or stereo format (as it was recorded). My song consists of nearly 140 individual track stems. Are you ok to mix this many tracks? Absolutely! We can safely assume that production work has been done in this case and your required sounds and effects are contained within these tracks. As a sidenote for others, this many tracks normally means that the project contains multiple passes of instruments recorded in different ways, layers, recorded reverb tracks, recorded effects, re-amped parts...you name it. Do please note, though, that a project this big is bound to take more time to mix. Why must we agree to your terms and conditions to make an enquiry? The advent of GDPR means that we have to take possession of your personal information very seriously. In order to communicate with you about your online mixing project we have to have your contact information and you agree to let us contact you via email regarding the project. We do not send marketing emails and you are not opting in to anything. Agreeing to the terms and conditions from the outset tell us you are serious about your project and understand about the mix being our intellectual property. If you are happy with the mix we provide then the quoted fee covers any use by you of the mix. If you are not happy and we agree a cost reduction then, to protect ourelves, we will withdraw permission to use the mix. Therefore, sending us an enquiry means you are accepting these terms for the duration of the project. If we accept your mix what rights and requirements will you have over our song(s)? The fee quoted at the start of the project will cover any use of the mix that we produce for you for any reason, whether it be CD, online streaming, download or broadcast. However, as we will own the intellectual rights to the mix all we ask is that we are credited as appropriate wherever it is used. We do hope that is not too much to ask! I see you are based in the UK. Do you accept projects from abroad? Yes indeed. The whole point of an internet based service is that it can be accessed by anyone from anywhere in the world. We will accept any international projects but please bear in mind payment will only be accepted via paypal and the exchange rate must be taken into account so that we recieve the correct fee. Contact us using the form on the right to discuss your project. As you may understand we do hate to be interrupted mid mix so we apologise that we cannot be contacted by phone at this time. Don't forget to leave the relevant details such as song lengths, track count, production values etc. Once we have your first contact we will be in touch to discuss your requirements in more detail. Gmail users - there have been issues with non delivery to gmail. If you have not recieved an autoreply within 30mins please contact us again and we will reply via gmail directly.